In addition to technologies such as partial powertrain electrification, a key factor in the reduction of CO2 emissions from road traffic is an increase in the efficiency of combustion engines through lower frictional losses. Tests carried out by Mahle show significant potential in this area by optimizing the design parameters of the piston group. This article focuses on the design of the piston skirt geometry, specifically the parameters of piston skirt contact area, piston skirt stiffness, and piston profile. 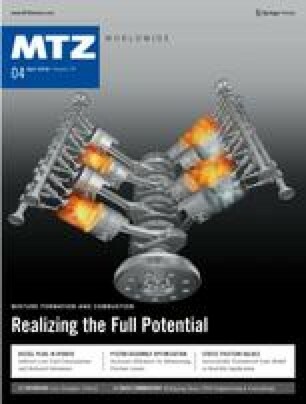 The authors express their thanks to Andreas Hammen, Mahle GmbH, for managing the project and providing support for the test runs.